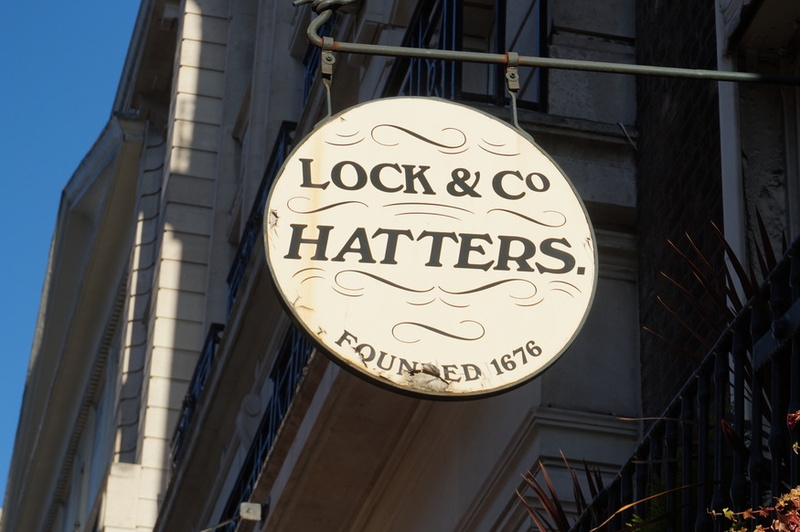 On the sunny side of St James' Street proudly sits Lock & Co hatters, the world's oldest hat store. It's been here since 1676... well not exactly here, it originally sat on the other side of the street. 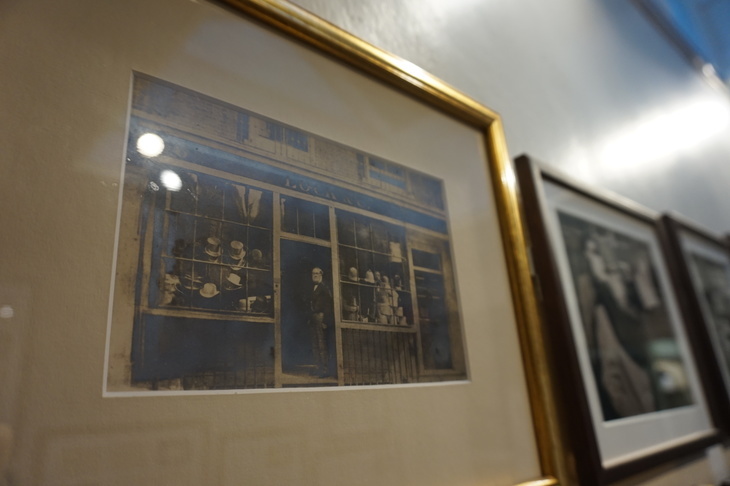 It's a place filled with intricate bits of history, from innovations in millinery, to famous and infamous customers. It even has something that's really cool for architecture geeks: a coffin staircase. 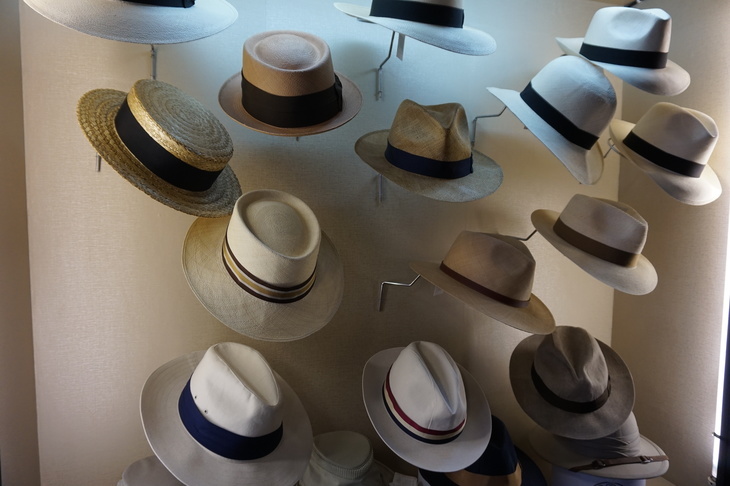 Considering it a store bustling with so many fascinating tidbits — and also hundreds of hats — we paid it a visit. We're greeted by the genial deputy director Roger Stephenson, who gives us a brief overview of the shop's history. 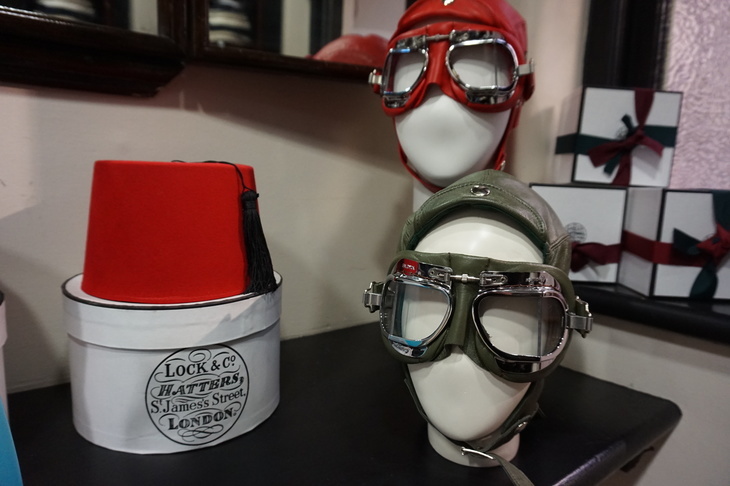 "Lock and Co was founded in 1676, so to put that in perspective that's just ten years after the Great Fire of London. When this part of London — well it wasn't London then — was redeveloped, as people moved away from the City, we were one of the first shops to open." The business was started by James Lock, and has proudly remained a family business ever since. Roger's family came aboard a little later, in 1801. He's the seventh generation of Stephenson involved with the business, which now rotates between the Stephenson and Lock families, each taking sequential turns as director. Roger tells us all this while surrounded by hats on all sides, with nearly every kind imaginable. During our chat a few customers come in to check out the store's wares and quite a few of them are tourists. Nowadays, a lot of their trade comes from overseas; both the Japanese and Americans are huge fans of the shop, many tourists visit the physical store and others order online. Apparently flat caps are in at the moment; the shop calls it "the Peaky Blinders effect". "Some people just buy the boxes". 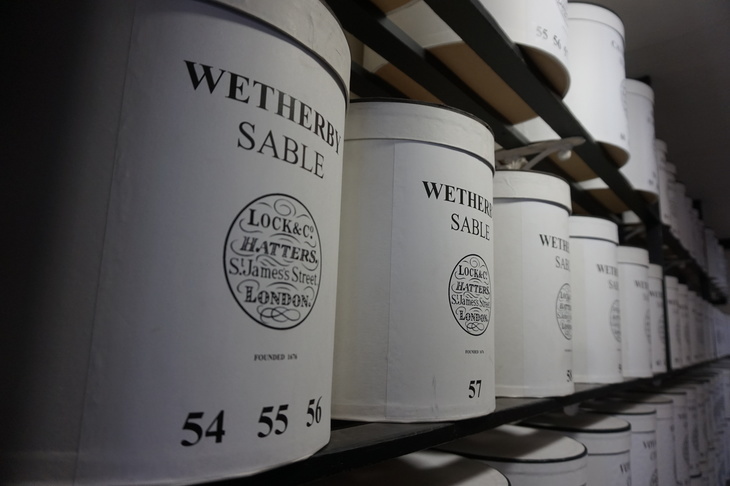 Moving on from the shopfront, we wander through the main showroom where we're greeted by endless rows of hat boxes. According to Lock's head of marketing Hannah Rigby, these are so iconic that, "some people just buy the boxes. Obviously, we prefer it when they buy hats too." One particularly historic hat that customers will recognise is the Bowler or Coke hat. The very style originates in the store. In 1849 Edward Coke commissioned a hat for his gamekeepers. Lock's chief hatter Thomas Bowler drew one up immediately, hence where its two monikers originate. It was made famous by another Lock customer many years later, one Charlie Chaplin. Next — and this one might really shock you — there's another room filled with hats. Here sit some of the outliers from the usual collection, including deerstalkers, smoking hats, fezzes and even some aviator helmets. Upstairs — via that coffin staircase — is the women's shop, with another sweeping range of styles. The most eye-catching of these are the hats that end up on show at Ascot — the run-up to the racing event is one of the busiest times of year for Lock. 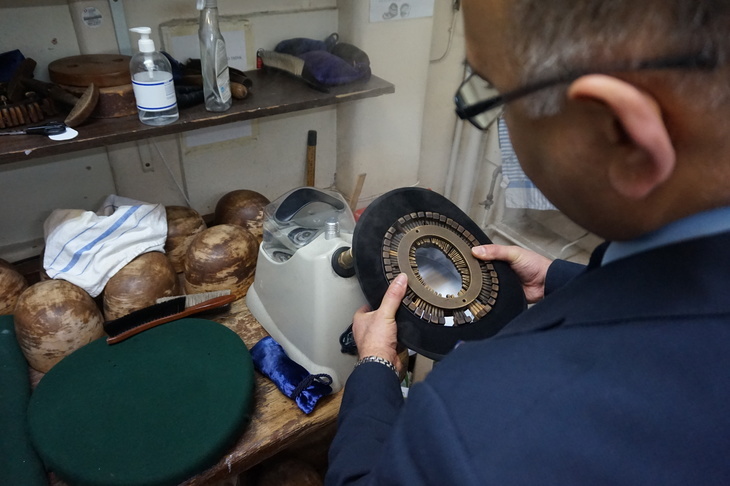 We see one of the milliners working on one of these masterpieces, each so intricate that it takes hours to create. At the back of the shop is a heritage room. On the far wall is a glass cabinet containing some of the shop's most prized possessions. One of these is a replica of Admiral Nelson's iconic bicorne hat, which is another Locke classic. 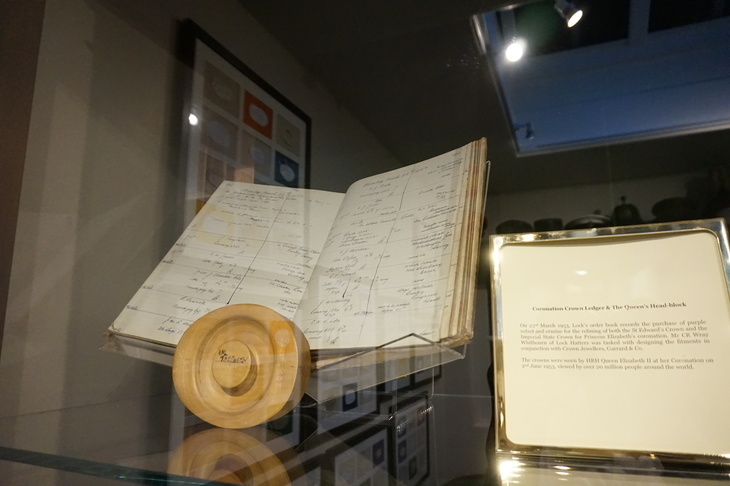 Next to this a single page of a rather massive book of orders all pertaining to one customer — Winston Churchill. Apparently there are other similarly busy pages relating to Churchill's Homburg hat orders. The man liked a hat. 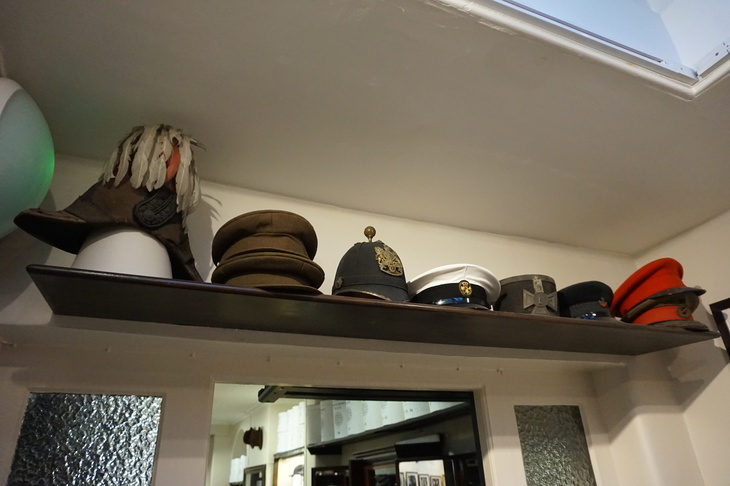 Over the doorway sits an impressive array of military hats, but they look a little worse for wear. 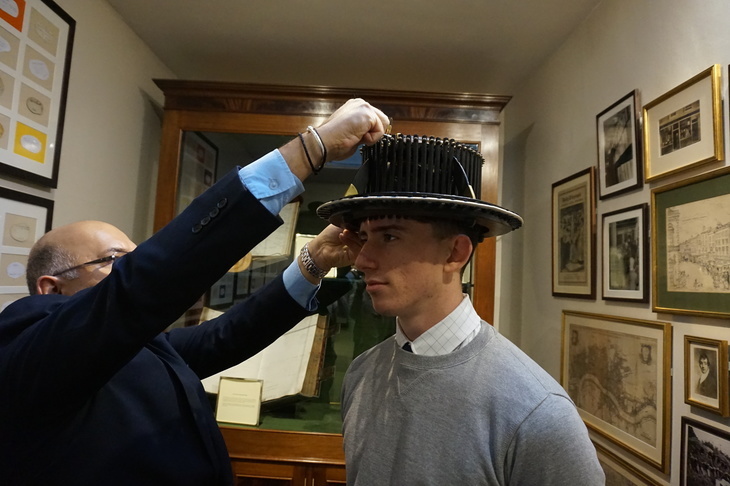 Hannah divulges that "the National Army Museum has advised us on how to keep their military hats under better condition, to stop them drying out further"." Sacha Baron Cohen's head shape, we presume for the iconic Ali G du rag. Inside the heritage room, there's a wall filled with framed cut-out blobs with names scribbled across them. Not the works of the staff's young toddlers, but the head shapes of Lock's customers created using a machine called a Conformateur, shrunk down to a sixth of their normal size. There used to be many more head shapes, but one rogue employee took spring cleaning a little too far in the 1950s, and threw several out. This used to be someone's morbid daily task at Lock. They'd read the newspapers obituaries and if they'd recognise any customers in there, toss out their head shape. Some of the pre-1950s collection remains, and quite a collection has built up since. So if you want to find out the exact head shape of Charlie Chaplin, Evelyn Waugh, Zach Braff, Ronnie Corbett, Kenneth Branagh, Sacha Baron Cohen, Alex James, Nicolas Cage, Princess Diana and many others — and breathe — check out this mini-museum. The Queen's wooden head shape. There's one extremely special head shape in the room that stands above all others. It's made out of wood, and was for Queen Elizabeth II's crown for her coronation in 1953. We then see the Conformateur in action, used by master hatter Jayesh Vaghela — add that one to our list of dream job titles — to measure new employee Jack's head shape. The machine dates back to 1852, and looks like something from a steampunk novel. Curiously, no improvement in technology has been created since, so this old technique is still the best way to create head shapes. This is perhaps a sign that wearing a perfectly fitted hat is now a much more niche pursuit than it once was. Out pops a piece of card with a dotted line showing Jack's head shape. Jayesh cuts around this, and puts it in another machine that approximates Jack's actual head shape using the cut-out, to help him reshape a silk hat. Once the machine is in place, Jayesh puts in under hot steam, constantly spinning and reworking it, to get that perfect fit. These techniques are old, but are mostly self-taught, so rare is it for someone to know the skill today. After five minutes of squeezing and spinning it's done. He plops the hat on Jack's head — it's a perfect fit. 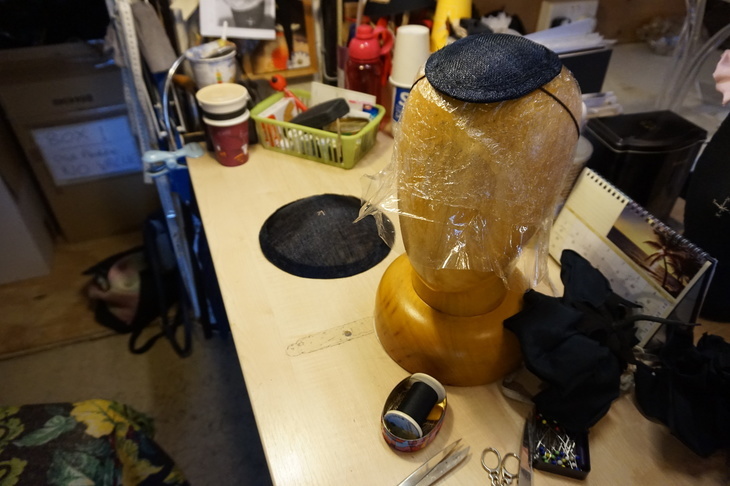 The head shapes are usually used to help reshape vintage silk top hats. Lock are one of the premier sellers of these rare hats. New ones are no longer being made as the factory where the silk was once made burned down. Jayesh collects and refurbishes these hats. As many of them are over 100 years old, they tend to be a bit small for modern customers, so he's always on the lookout for larger sizes which are much more costly and valuable. If you have any ancestors with large heads and a thing for silk hats, now's the time to check their attics. 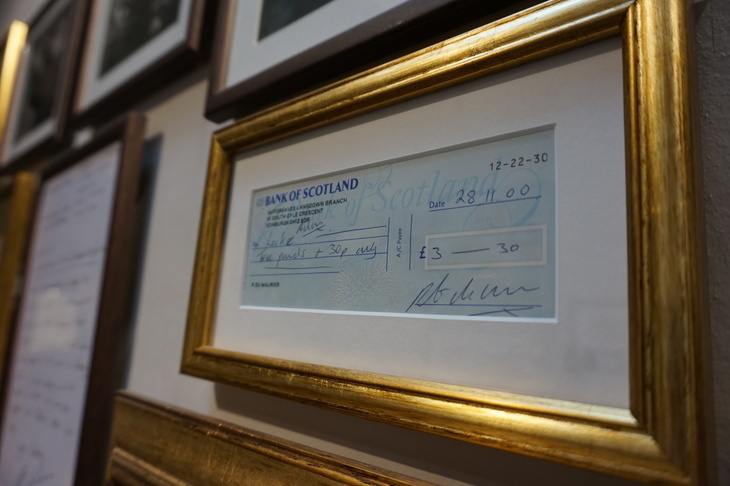 One especially noteworthy item in their heritage room is a cheque for £3.30. It seems quite a measly amount — especially when compared to the prices of some of the hats on sale — but there's a letter next to it that explains its prominence. The cheque is from a benevolent stranger who decided to pay off a long-standing debt, that of the illustrious Oscar Wilde. Wilde ended his life broke after spending time in prison following a gross indecency trial centring on his homosexuality. At the time of his death in 1900, he still owed Lock money from his hat-purchasing days. The story remained dormant for 100 years, until the painter Royston du Maurier paid off Wilde's debt. The £3.30 paid is the closest approximation for the £3 6s that Wilde owed, but taking inflation into account, the bill is actually closer to £200. One of Roger's ancestors, James Benning, is famous worldwide — though you might know him as the Mad Hatter. Lewis Carroll — real name Charles Dodgson — was a customer at Lock and Co, and was inspired by Benning who was apparently "totally barking". Mercuric oxide, which they used in the process of stiffening hats, gave off bad fumes and gets into your central nervous system and that's what sends you mad. Stephenson doesn't shy away from his family heritage, in fact it's something he's very proud of. He's also excited by the business's future prospects continuing with his family: "I've got two children, and my daughter has just started in the business. Hopefully she's going to take it to bigger and better things, when I'm long gone." So Lock will hopefully remain, for many more years, fitting the famous figures of the next generation with their hats.